These days various hosting organization website are available into internet market. But some are more popular because these website provide quality service for your customer. Today I am here for one great hosting provider review. Qualityhostonline.com is a big name in hosting industry. Qualityhostingonline.com team always active on support section, which make qualityhostonline.com group services far better according to other hosting providers. If you plan hosting for new business, qualityhostonline.com can prove mile stone for you new business. Under this post “Quality Host Online: For 100% Quality Hosting Service “I am describing qualityhostonline all features, plans and services. Qualityhostonline.com are providing services from long periods and also having over 10,000 satisfied customers. This organization offers you all type hosting plans like business hosting plans, reseller hosting plans, virtual servers plans, hybrid servers plans. And each plan also has some sub plans. Here you can select your according hosting plans. Business plan hold three sub plans, each sub plan you can categorized uniquely by help of plan features. Like here you can see business, business-PLUS, business-ULTRA plans. Here all three sub plan include various common services like technical support, free migration, and domain for life but some features are different according to plans. Under business plans you can get 10000MB disk space, 250GB bandwidth/month with all available features. Another second business-PLUS plan offers you more space and bandwidth and free dedicated IP. According to third plan Business-ULTRA, you can get more extra space and bandwidths. 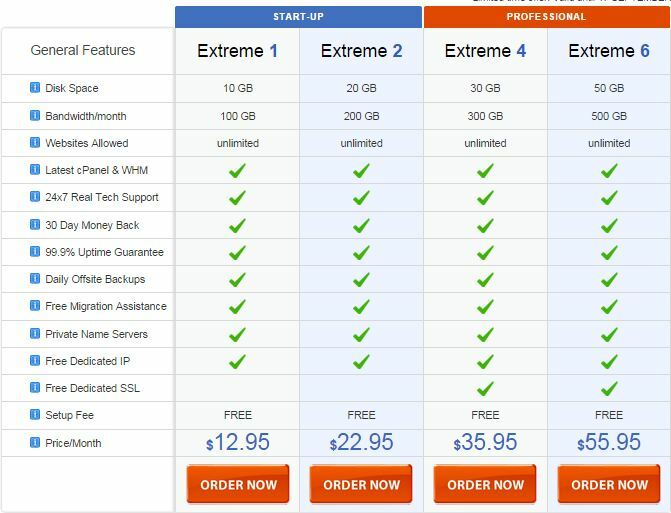 This plan also comes with free dedicated IP and free dedicated SSL. This plan is suitable for various hosting provider organization, website developer, website related organization and etc. You can categorized Reseller hosting plan into two sub categories, one is start-up plan and second is professional plan. Reseller Hosting Plan is differ from business plan in disk space and bandwidth. Both plans provide dedicated IP but not dedicated SSL. Professional plans provide dedicated SSL. VPS plan is awesome. Here you can customize hosting plans, according to your server requirements. Under this section you can customize your plans on RAM, Disk Space, CPU Core, Monthly bandwidth basis. For example if you need a virtual server having some configuration like 1.5 GB RAM, approx. 60GB Disk Space, at least 2 CPU and etc , Super-3 VPS plan gives you all these features. You can find previously categorized available plans feature below . 2) Track your VPS server health by help of bar charts. 3) Complete root access and also can change root password. Hybrid type’s servers are most powerful and faster. Which is helpful to make your website much faster and secure. Because qualityhostonline.com provide free of cost premium antivirus for scanning your server. And VPS control Panel is very easy in use. Same as VPS here also you can select plan according to your server configuration. Here fiver hyper plans are also available like hyper-1, hyper-2 to hyper-5. Each hyper plan have specific server configuration. 5) You can track server performance by graph. Services which make far batter qualityhostonline.com? 1) Very stable, providing hosting service from long periods and having more then 10,000 satisfied customers. 2) 30 days, complete risk free money back guarantee. If you are not satisfy qualityhostonline.com service. You can claim for money return. 3) Very high configuration server, always apply latest update on servers. 5) Always scan your server by premium antivirus without any extra charges. 6) Free migration service, not need to pay any extra charges. 8) Data backup and disaster recovery. Hope you are enjoying my post “Quality Host Online: For 100% Quality Hosting Service “. Please share your thought and ideas about my post. If you like my post you can share this post with your friends on social sharing sites.